Playing to a packed house, the 10 musicians rocked into the night with finger-plucking genius, percussive impressiveness and talented vocals. 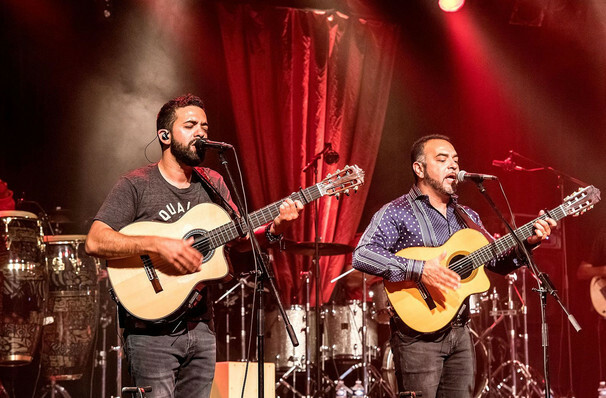 Why See Weekend Spectacular: Gipsy Kings? The Hollywood Bowl presents a sizzling summer evening of flamenco and afro-mexican folk fusion music during the Weekend Spectacular concert series. Topping the bill are contemporary flamenco heroes The Gipsy Kings featuring core founding members Nicolas Reyes and Tonino Baliardo, who'll get the crowd grooving and moving alongside Los Angeles' very own chicano outfit Las Cafeteras, a collective that fuses the spoken word with traditional folk Son Jarocho music and the Andalusian Zapatedo dancing style. Formed in Arles, a small village in the South of France, by the sons of iconic Flamenco performer Jose Reyes and their cousins, The Gipsy Kings called upon their Gitano (gypsies of Spanish heritage who left Catalonia during the Spanish Civil War) heritage and brought the music of their ancestors to weddings, festivals and street parties all over the country. Mainstream success came calling in 1987, with the professional release of smash hit songs 'Djobi Djoba' and 'Bambelo', two singles that heralded their bold updating of flamenco with the sounds of the Middle East, North Africa and South America. In the late 80s they signed to Sony in America, sealing their legacy as a world music band whose international success culminated in 13 studio albums and a Grammy Award win for Best World Music Album. Sound good to you? 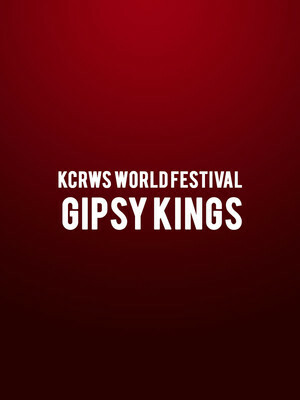 Share this page on social media and let your friends know about Weekend Spectacular: Gipsy Kings at Hollywood Bowl. Please note: The term Hollywood Bowl and/or Weekend Spectacular: Gipsy Kings as well as all associated graphics, logos, and/or other trademarks, tradenames or copyrights are the property of the Hollywood Bowl and/or Weekend Spectacular: Gipsy Kings and are used herein for factual descriptive purposes only. We are in no way associated with or authorized by the Hollywood Bowl and/or Weekend Spectacular: Gipsy Kings and neither that entity nor any of its affiliates have licensed or endorsed us to sell tickets, goods and or services in conjunction with their events.